Well, my interest level in Batman: Arkham Knight just skyrocketed. 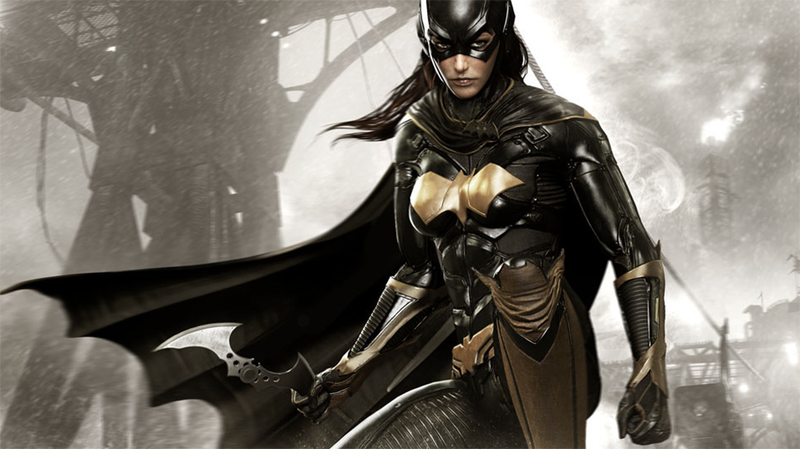 Fresh details on the DLC coming in the game’s season pass reveal Batgirl’s Arkham game debut. While Rocksteady’s Arkham trilogy comes to a close with the release of Arkham Knight in June, the developer has a packed schedule of side stories and additional content to keep batfans happy long after the credits roll. Tops on that list for at least two Kotaku editors is the “Batgirl: A Matter of Family” downloadable story expansion, featuring an entirely new location and starring a playable Batgirl. I keep wanting to call her Barbara or Babs, but I’m not so sure the shinier, happier member of the Bat family that Evan Narcisse wanted is what we’re getting. For one, we know that Oracle plays a strong role in Arkham Knight, and Oracle is Barbara Gordon in a wheelchair. Since this is a side story removed from the main narrative, it could be tale of Batgirl’s past, before whatever events in this universe led to her injury (did “The Killing Joke” happen here?). Or maybe it’s another Batgirl entirely. My interested in Batgirl kicked into high gear in the late ‘90s/early 2000s, when a mute assassin named Cassandra Cain was taken under Batman’s wing after acting as one of Oracle’s operatives during the “No Man’s Land” comic storyline. Originally devoid of speech but able to read body movements at a supernatural level, Cassandra got over the whole speech thing and eventually wound up as Black Bat, Batman Incorporated’s Hong Kong operative. I loved this character from the moment I first saw her on a comic book cover, cloth stitched over her suit’s mouth. Her initial wordless run was brilliant. “A Matter of Family” could very well allude to a Barbara Gordon story. Or it could have something to do with Cassandra Cain and her assassin father David Cain or her murderous mother Lady Shiva. I’ll keep my fingers crossed. In the meantime, here’s the rest of the Season Pass details revealed in the Arkham Knight forums (via Greg Miller’s Twitter). The Season of Infamy — Play as Batman in all new story missions featuring legendary super-villains invading Gotham City, with new story arcs, missions and gameplay features. Gotham City Stories — Play as Batman’s key allies in narrative missions extending their storylines, from both before and after the events in Batman: Arkham Knight. Legendary Batmobiles with Themed Tracks — Drive the most iconic Batmobiles from Batman’s 75-year history, on custom-built race tracks, each themed to that Batmobile’s specific era. Every Batmobile will be drivable across every race track. Crimefighter Challenge Maps — Engage in a series of new challenge maps utilizing the unique play styles of Batman and his allies. Character Skins — A variety of skins from across the eras for Batman, Robin, Nightwing and Catwoman.